London Build is back on October 25th & 26th with more content, more networking and more entertainment than ever before, and you can sign up for a free ticket today. 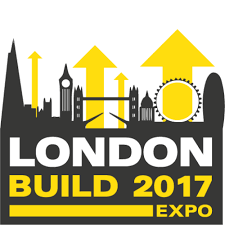 More than just your standard exhibition, London Build features over 100 hours of CPD accredited content, to allow you to develop your own skills, including exclusive contract and tender announcements from the largest projects within London from the residential, commercial and infrastructure sectors. Gain access to endless networking opportunities, hundreds of facilitated one-on-one meetings to create new business, and live entertainment to ensure that you’re having a great day outside the office. Across the two days, London Build will see thousands of construction professionals, contractors, architects, developers, government representatives come to Olympia London to meet with over 250 exhibitors showcasing the very latest products, solutions, and technology across the sector. 150 top level speakers will be delivering exclusive content in what is the most diverse and progressive programme in the industry, covering topics such as BIM & Digital Construction, Off-Site Construction, Sustainability, Skills, the Future of London’s Construction Industry and much more. The Department for International Trade, will also be on hand to provide expert one-to-one advice to help your company take a step towards growing your business abroad in our Export Hub.